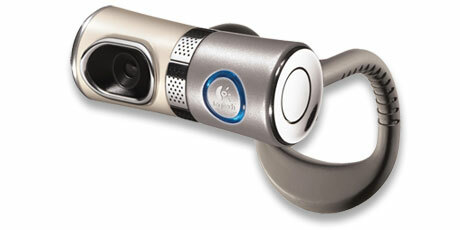 Measuring 9.4cm wide and 3.5cm diameter, QuickCam UltraVision weighs around 220g and has a very unique design. It comes with a plastic hook that acts as a counter-balance for the forward-leaning Webcam when placed on a liquid crystal display monitor. 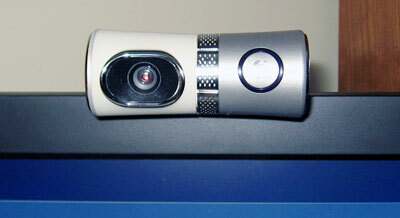 The QuickCam Ultra Vision is another popular product for internet users. What can QuickCam UltraVision do for you? Well, QuickCam UltraVersion is amongst the first few webcams that incorporates a true and precision glass lens instead of charge coupled device for video conferencing and taking still pictures. Using the latest technologies, this webcam can produce superior image quality through five precision-engineered lens elements. Live video can be captured up to 640 x 480 pixels while still images can be captured at 1,280 x 960 pixels using its true 1.3-megapixel sensor. Logitech QuickCam UltraVision has an integrated microphone which is more suitable for group audio rather than audio from a single source. Using Logitech’s exclusive RightSound™ technology, the audio quality is excellent, clear and echo-free. Another noticeable feature in QuickCam is RightLight 2, an automatic lighting adjustment software designed to cope with dim or low lighting. This feature helps to improve better image quality with better lighting. Selling for about US$129.99, QuickCam UltraVision is able to work with applications such as skype, Window Live Messenger, Yahoo Messenger, AIM, etc. Read more about it from Logitech.